Why did the shop split with its founders last month and what does its future now hold? BETC's founder and new London leadership team met Louise Ridley. It was news that few saw coming. On 10 January, in a 168-word press statement, the French network BETC announced that its London leaders, Matthew Charlton and Neil Dawson, were leaving with immediate effect. 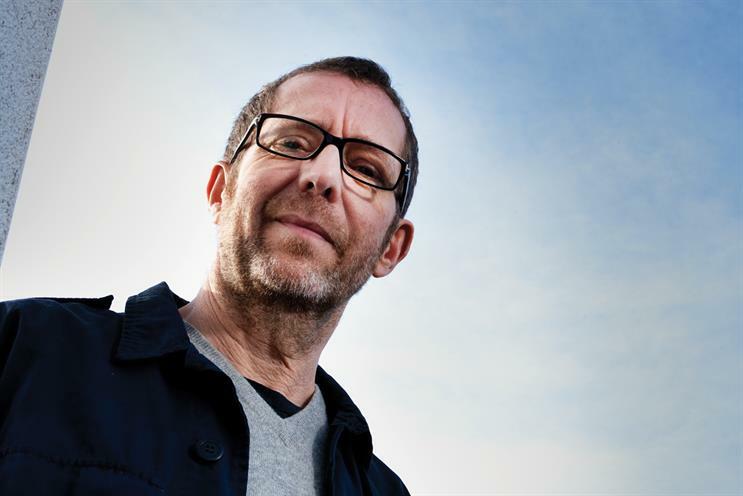 The duo, who had founded the London office in 2011, were replaced by Andrew Stirk, their junior partner and BETC’s former executive head of planning, who was elevated to chief executive, and Rosie Bardales, a creative from Wieden & Kennedy Amsterdam, who joined as the executive creative director. The changes were met with shock and confusion outside the agency. On the surface, BETC London was not in trouble – in fact, quite the opposite. In 2013, its revenue doubled and staff numbers grew from 12 to 28. Charlton and Dawson led the agency to wins including the global Bacardi advertising account and Diet Coke in Europe. But the bar had been set high by the agency’s big sister, BETC Paris. The 1,000-strong European powerhouse spawned the Evian baby ads – the most-shared of 2013, according to Unruly – and is renowned for creativity under its founder and chairman, Rémi Babinet. The Frenchman took the decision on Charlton and Dawson’s departure, and insiders say his actions were crucial, if brutal, to jumpstart the London shop. Behind the scenes, a string of unsuccessful pitches last summer, including Volvo, Tetley and Tic Tac, is said to have led to a breakdown in Charlton and Dawson’s relationship and a feeling that the new agency wasn’t meeting the expectations of the Paris office. Whatever else, refreshing the London line-up reflects the ambitions of a putative micro-network that confirmed the launch of its third agency in São Paulo last week. Here, Babinet, Stirk and Bardales explain what happened and what is to come. Rémi, what happened in London? Babinet: For the two first years, the Paris and London teams agreed, and there was no problem at all because the growth was incredible. They began with nothing, these two people [Charlton and Dawson], and I thank them for that. After two years, it was not exactly the same story. At what point did you decide that something had to change? Babinet: In September 2013. There was not the same energy in pitches; not the same achievement. I didn’t go to the pitches, but I saw the results. It was the beginning of the end. The first two years were the first move, and a very strong move. But we have to identify what type of agency we are, and [what was happening in London] was not what we are used to doing in Paris. Did the London founders’ relationship affect your decision? Babinet: It was not personal; it’s about the work. I don’t know the whole story. Probably, they were not exactly on the same wavelength. It was very difficult to have a clear future vision. For people at the agency, it was not easy – not at all. It became worse and worse, and I had to make a very fast and clear decision. Why did you appoint Stirk and Bardales as the new leaders? Babinet: That was obvious for me. Their previous agencies are my favourite agencies, such as Mother and W&K. There are not many places like that in the world to do good advertising in small networks. Of course, you have strong places in big networks, but I believe in small networks with local big giants. Will the relationship between Paris and London change? Babinet: The beginning of the story was great but, more and more, it was about cultural differences [between London and Paris]. That’s why I am very excited about the arrival of Rosie and Andrew, because I’m close to their spirit of open-mindedness. I am sure I will not have to organise a link between Paris and London – it will be natural and very warm. Andrew, as one of the original BETC London team, how did you find the change? Stirk: It has been quite dramatic and emotional, which was difficult. There was a breakdown at the end of last year and everyone in the agency was aware of it. I think there is definitely a sense of relief that it’s resolved, and a new energy because there are different conversations happening internally. What is your perspective on the events? Stirk: Before, the agency was very driven by Matthew and Neil’s own self-image, and that may have accelerated a falling out because [the agency] was a very personal thing. We’re now able to have a much more open conversation with Paris, because it’s less about specific egos and more about shared focus. Personally, I’m disappointed [with the way it ended] because I think the guys did a really good job. I was a junior partner to them but I had my frustrations, the biggest around the way we worked, because I think it resulted in quite slow development. Was the creative work falling short? Stirk: My opinion is that the creative output was pretty strong but quite narrow. We tended to focus on traditional media and there was a sense of quite an old-fashioned process. The creative department was an entity in its own right and, when you’re a small company, I don’t think that’s necessarily the most productive way to work. What do you want to change as chief executive? Stirk: Lots of things that aren’t revolutionary to other agencies. We want creatives to be involved in the strategic conversation. We want to be able to brief more quickly, and then be constantly developing and testing. Rosie is really interested in clients and has a point of view about the business, which I think is true of a lot of American creatives. Our agenda is just the work, the work, the work. You are relatively unknown in the industry. How will you make your mark? Stirk: To be honest, I’ve shied away from publicity. Obviously, for the agency, I think I’m going to need to work harder at that profile. Babinet: That’s one of the reasons I have chosen Andrew and Rosie. When I started BETC with my first partner, Eric Tong Cuong, we had good work but no reputation, because that was not our focus. We were very young, like Rosie and Andrew. They can imagine something new. They are hungry and the agency is too. So am I.
Bardales: I’ve been a bit of a globetrotter. It has always been important for me to surround myself with people I admire. That’s why I ended up at Cliff Freeman & Partners, Bartle Bogle Hegarty and Mother, working for very smart people who approach advertising in completely different ways. At W&K Amsterdam, I was running the Levi’s and Powerade businesses. It moves quickly and the attitude is: "What’s the new thing we’re going to make today?" I’ve got to grow with that. Babinet: Rosie is a global citizen – she has worked in London, France, Amsterdam and New York. That’s hugely important. What I learnt in the first year of BETC is that every country is so local. The first brands that travelled a lot were American brands, so everyone has the impression that the US is international. But, when you go there, it’s so local. And that’s human – it’s about the story. For brands now, it’s very difficult to achieve real internationalisation. What are your plans for the creative department? Bardales: I want a more open environment, and to bring in international talent as well, to create a more exciting culture and look at Paris as the building block for how we work. We’ll mix up the creatives so there aren’t two-person teams that have to work on the same brand all the time. Should the London agency have a French spirit? Bardales: I think it’s more of an international thing. We’re going to take the idealism behind the Paris office, but create it for ourselves. Stirk: There’s a Parisian sense of style about BETC and the quality and feel of the work. I think the core meeting point between what we’re trying to do in London and Paris is this idea of creating irrational value for our clients’ brands. Like the fact that people will pay three times more for a bottle of Evian than standard mineral water. Why have you chosen to launch in Brazil? Babinet: Because we like Brazil. And because of the incredible growth there, and the timing: we are just in time for the Olympics and the World Cup. You’ve hired female leaders in both London and São Paulo. Is that important? Babinet: That is chance, but it’s probably a sign because the industry is so masculine. I like to [hire women] because it’s part of the broad opening of our field. Babinet: Success, for me, means big strategy, smart strategy and modern execution. Modern is not about aesthetic, it is about speaking to people with good language and good craft. The beginnings [of our agencies] are always small because I like the idea of a start-up, but the mission is to become very big. That’s what I imagine for London, and for more places we create.